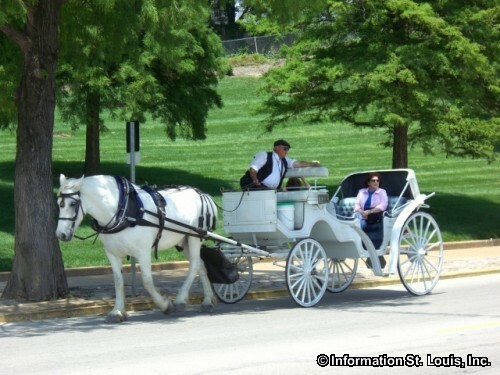 The St. Louis Carriage Company conducts horse drawn carriage rides in Downtown St. Louis. 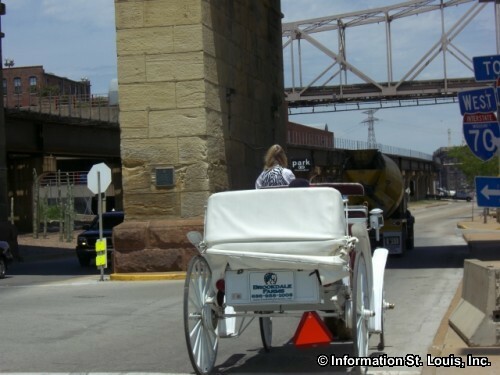 Carriage tours start from three locations, from in front of The Old Spaghetti Factory on Laclede's Landing, on the riverfront in front of the Arch and from in front of the Hyatt Hotel at 4th and Chestnut. The rides from these locations do not need reservations and can be hired for rides lasting 15, 30 or 60 minutes long. 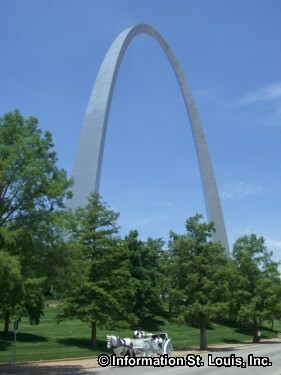 It's a fun and leisurely way to see St. Louis! 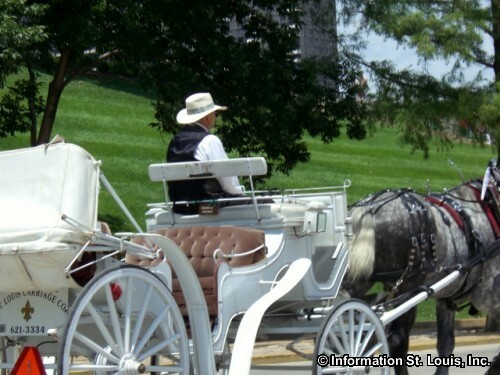 Carriage rides are also great for special occasions - weddings, holiday events, parades are all enhanced by horse drawn carriages. Check their website for rates. 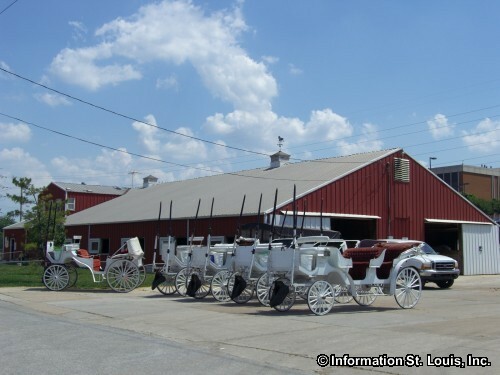 Carriage rides are available every night of the week, weather permitting.